Do any post Rambam halachic works or accepted poskim mention how the fundamentals effect halachic status of people or things? Do they discuss if halcha follows Rambam and his thirteen ikrim, or Seffer HaIkrim and his three? Is there a middle ground, such as you must believe the thirteen, but only the three have halachic ramifications? To clarify, I am not looking for Machshava/Mussar/Kabbala works that mention what a person is required to believe and what his relationship with Hashem is based on these beliefs, whether in this world or the next. This would include a halchic work which for whatever reason chooses to mention fundamentals without mentioning their ramifications halachicaly. On the other hand a seffer which is officially considered Machshava/Mussar/Kabbala but mentions a halachic ramification of these beliefs would be acceptable. The type of halachic discussions that I mean are, for example, this person believes this or doesn't believe this so now his halachic status is this. It can be about the person as pertains to others, such as if someone doesn't believe in Techias Hameisim he can or can't make kidush for you. Or as it pertains to himself, such as if he doesn't believe in Techias Hameisim he can or can't make Kidush for himself. Or you could or can't drink his wine, or he could or can't drink his wine. Just some examples. And lets please not turn this into a discussion about the children of heretics being Anussim, let us assume we are discussing someone was raised properly who later in life decides to hold views not consistent with what are called the fundamentals. Some related questions. Why don't we have a "shulchan aruch of forbidden beliefs"? About the debate over whether there are 13 ikkarim or 3 like R. Yosef Albo, I know of no practical ramification, and according to the kabbalists there are no fundamentals, because every jot is a fundamental, what distinguishes one from another. However, see this article for a possible nafka minah regarding whether espousing a position contrary to the Torah is yehareg ve'al ya'avor. Rav Aharon Feldman, Rosh Yeshiva of Ner Israel in Baltimore, was once returning to Baltimore on an early morning flight. He was leaving too early to daven with a minyan before he left, and he was not going to make it to Yeshiva in time for shacharis at Yeshiva. Therefore, it was arranged for nine bochurim to not daven at the Yeshiva minyan in order to make a minyan with the Rosh Yeshiva. However, one of the bochurim forgot and davened with the Yeshiva minyan. They pulled aside one of the janitors of the Yeshiva who was a non-practicing Jew, and wanted to count him for the tenth. The Rosh Yeshiva asked him 3 questions - does he believe in G-d, did G-d give the Torah, and is there reward and punishment. The janitor answered in the affirmative, and so they counted him for the minyan. So Rav Aharon Feldman seems to hold for practical application like the Sefer HaIkarim and not like the Rambam. Source: one of the bochurim who was in that minyan told me about it later that day. The Shulchan Aruch in Orach Chaim siman 126 discusses a shliach tzibur who accidentally skips ViLamalshinim, which makes him suspect to be a heretic for which we remove him from the amud. 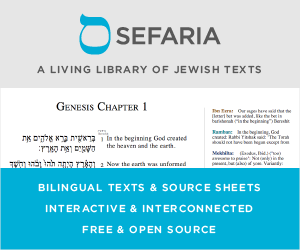 The Mishna Berurah there #2 http://hebrewbooks.org/pdfpager.aspx?req=49623&st=&pgnum=294 discusses the other blessings which center around fundamental beliefs and why we don't suspect someone who skips one of those. But he paraphrases a Yeshuos Yaakov and writes 'know that it is apparent according to everyone that if we (actually) know that a certain person does not believe in revival of the dead, or does not believe in the Final Redemption, and certainly if he does not believe in the heavenly origins of the Torah or in payment and punishment, according to all he is an Apikores and may not be the shliach tzibur. And if he takes the position by force, we do not answer amen after his blessings. And see earlier siman 53 siff 18'. The Mishna Berurah is obviously ruling like this Yeshuos Yaakov. I'm pointing this out to clarify before I quote his words. The words of the Yeshuos Yaakov can be found here http://hebrewbooks.org/pdfpager.aspx?req=9259&st=&pgnum=124 I will translate them. 'In the Yerushalmi it is explained that if he makes a mistake in 'Boneh Yerushalaim' and the bracha on 'Techias Hameisim' we remove him. This is not the opinion of our Shas (the Bavli). In truth though, it seems to me a Min is the name called to someone who does not believe in the reality of the singularity of God, and one who says Torah is not God given, and someone who does not believe in payment and punishment. These are the three first basic fundamental beliefs. As far as the other fundamentals explained in the Rambam, whoever denies them, even though he is a complete rasha, even still he is not excluded from being a member of this religion, as it says in the Seffer HaIkrim, first maamar. This was the reason to establish Malchios, Zichronos, and Shopharos. Malchios, for He is the singular KIng. Zichronos for payment and punishment. And Shopharos for Maamad Har Sinai, and Torah from Hashem. See there at length. Whoever believes in this is included in this religion. And certainly whoever does not believe in the other Ikrim or in any single idea from the Torah is a rasha who's punishment is great, even still he is included in the religion. Being included in the religion means he has a chezkas kashrus and therefore even if he makes a mistake in a different bracha for which we could assume he has machshavas chutz, since he says the blessing on the heretics and we see he is not a heretic, and included in the religious frame of mind, we keep him on his chazaka ans assume it was an accident or skipped 'Boneh Yerushalaim' by accident, but not God forbid that he has heretical ideas. But when he skips 'ViLamalshinim, and we suspect he has heretical thoughts, he has no chazaka, and we therefore suspect him of just that, and take him down'. So there we have it. The Mishna Berurah quoting lihalacha the opinion of the Seffer HaIkrim as binding as far as being considered a Jew goes. And while it is true that one is a rasha if he doesn't believe the other Ikrim, at least he is included in the Jewish religion. A final point, in light of the actual words of the Yeshuos Yaakov, the fact that the Mishna Berurah mentions techias hameisim is interesting, but can easily be construed to fit into gmul vi'onesh, payment and punishment. In fact it might even be a point of social commentary, where the Mishna Berurah went out of his way to mention a belief that was still wavering from the maskilim. In fact the Yeshuos Yaakov himself started his discussion by mentioning Techias Hameisim along with Boneh Yerushalaim, but later dropped Techias Hameisim and only focused on Boneh Yerushalaim, a bracha focused on the Ikar of the arrival of Moshiach, as seen in the Yerushalmi he is coming from. The Maharal advocated saying "yachnisu" instead of "hachnisu" in the piyut "machnisei rachamim" to avoid praying to an intermediary which would be forbidden. Rav Moshe Feinstein in a responsum also said that he (and his father along with the rest of Volozhyn yeshiva) refrained from praying in language that addressed intermediaries. (Rav Moshe also has many responsa regarding halachik nafka minos of the status of Conservative Jews [e.g. validity of marriage, sharing synagogues, etc.]). As far as limiting the discussion to exclude the children of heretics, many are of the opinion that they are the only people where the Ikarim have ramifications - someone who knowingly rejects any verse in the Torah, or any mitzvah, becomes a heretic. The import of the Ikarim is that they apply even to someone who simply isn't aware of them. See the answers to this question for more on that. Based thereon, Even Sh'sia cites two halachic ramifications of someone not believing in the Ikarim. The first is that if someone does not believe in the Ikarim, they should first be taught the Ikarim before teaching them to keep mitzvos. The Ikarim are the foundation for the mitzvos having any value, and therefore they should precede in education of someone willing to learn. The second is that, according to the opinions that an unintentional heretic is not included in the category of Yisroel (he cites Abarbanel, and the "normative" understanding of R' Chaim Brisker for this), one should not make kiddush or berachos for them if you have already made for yourself, because they are not included in arvus since they aren't בכלל ישראל. Not the answer you're looking for? Browse other questions tagged halacha ikarim . Why don't we have a “shulchan aruch of forbidden beliefs”? Is a Minyan allowed to count a man that does not keep Shabbos? Why does the 5th verse of “Yigdal”, not mention prayer as does the 5th principle of faith of the Rambam? What is the “Minimum” of beliefs to be considered Orthodox? Are there any halachic problems with visiting a secular museum?